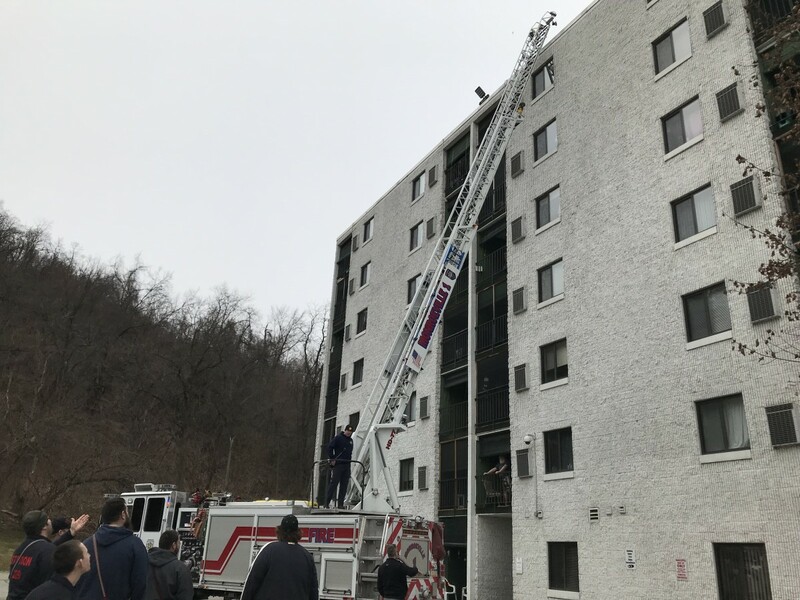 Saturday afternoon, Quint 1, Squad 1, and Medic 18 joined Pitcairn FD and several other mutual aid fire departments for a joint training session at the Pitcairn High Rise on Broadway Boulevard. 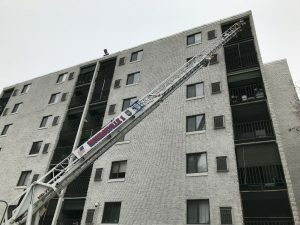 Crews preplanned and became familiar with key features of the building. 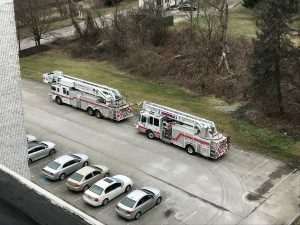 Upon completion of the training session, we stuck around to practice set up of the Quint at various locations around the building to gauge our reach capability. Thanks to Pitcairn Fire Department for the invite.